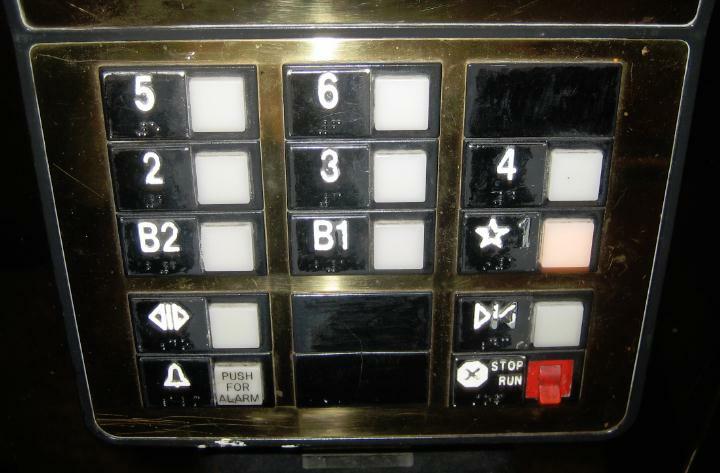 Koreatown Hotel Elevator Buttons - Where do I start? Traditional Korean is read from right to left (if I remember correctly) and in addition to that they probably wanted to list the lower levels as the bottom buttons to ensure a more 'natural' mapping. Seems clear to me, although non-standard. Do as jasper says: start from the bottom left and go right, then up to the next row, starting again at the left. There is no proper way to organize a long list into columns: tradition organizes the list vertically. This elevator organizes it horizontally. Either one is equally logical, although vertical is more standard. Hangul characters in Korean, by the way, are read left to right, just like English and other European languages. This is the same layout as the numeric keypad on a US standard keyboard.